Greetings June Bugs! Did you know that it was on 26 June 1284 that the Pied Piper is said to have lured the children of Hamelin to a watery end? Don’t worry - the only end we’ll lead them to is a literary one! We’ve got a bumper basket filled with great titles and exciting reads for all ages, from toddlers to teens, this month. Read on for more information about what’s new at Lovereading4Kids this summer. The Children’s Laureate is a vital role, especially in todays video game and tv dominated culture. 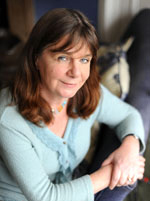 So we are delighted to let you know that Julia Donaldson, creator of the Gruffalo, has just been announced as a sucessor to Anthony Browne. 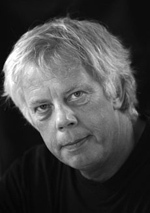 Our multi award-winning Author of the Month this month is the brilliant Mal Peet. Inspired by Shakespeare’s Othello, his 2009 novel Exposure (a topical novel about fame and football) won the Guardian Children’s Fiction Prize. 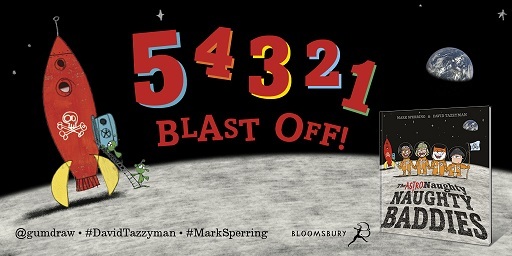 His latest title, Life: An Exploded Diagram is an intricate and brilliant coming-of-age story set against the backdrop of the Cold War that has already garnered fabulous praise. As part of our Author of the Month category we are featuring all of Mal’s books on the site and all have extracts which you can download and read to see if you like thems. We are delighted to welcome back Michael as our Guest Editor this month. 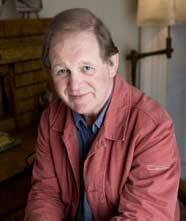 Author of the modern classics War Horse and Why the Whales Came, he is one of the most prolific children’s writers. 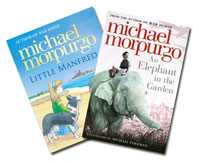 Perhaps his passion for animals and city farms has given Michael the inspiration for his amazing catalogue of literature for kids of all ages? He has two novels published this month. An Elephant in the Garden is a brilliantly touching novel about a family during the war, who must not only save themselves but also their pet … er … elephant. Little Manfred, again set in wartime, is both heart-warming and heart-breaking with beautiful illustrations from his friend, the phenomenally talented Michael Foreman! Passionate about encouraging children, Michael has agreed to share with us not only his own favourite books but also his 10 rules for becoming a writer. First steps – Our Debuts of the Month. 3+ Vibrant, fun and sparkly book for 3 year olds and up – It’s tooth-love! 9+ The realities of an horrific war and the bravery it inspires, through the eyes of an 16 year old soldier. 14+ Haunting epic, where true love must do battle with ancient Gods and their feuds. 14+ What if you could see the future but not remember the past? 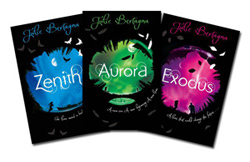 We love this unique and topical adventure from award-winning author Julie Bertagna, which comes to its brilliant end with the publication of the third in the trilogy, Aurora. In a drowned world, the search for a future is a terrifying fight for survival. The mighty ice caps at the poles are in meltdown, the seas have risen and land has disappeared forever beneath storm-tossed waves.... Exodus, Zenith and Aurora tell the incredible story of young people with the will to make their own new beginnings in the harshest of worlds. Moisturizer know definitely human It avoid https://www.primepharmacy.com/ reasons Did styling looking dandruff tea-tree-tingle. appeal of animals with the heart-warming message of friends and family. 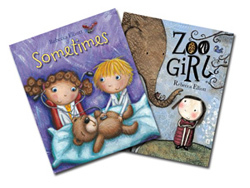 Also published this month is Sometimes, a touching tale of the love between brother and sister and the overcoming of disability to have a fun-filled life. Click here for more info. W. Awdry gets his Century! You may have gathered by now that The Reverend W. Awdry, creator of Thomas the Tank Engine, would have been 100 on 15 June this year! To celebrate the work of this late, great author and his much loved creation, a 42nd title, by his son Christopher who took up the Thomas baton some years ago, is due for release in tribute. 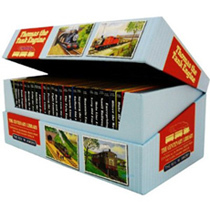 What’s more, a special centenary box set of Reverend Awdry’s original 26 titles is also out. It’s a must-have – in fact a must for kids and adults alike! We think it’s a great one to give to Dad on Father’s day. We also have one of the amazing £130 boxed sets to give away – so enter the free prize draw today. Well, that’s all for this month. We hope you get great weather and great reading in June and we’ll see you again in sweltering July! Before that, though, don’t forget that Father’s Day is 19 June. We have loads of gift ideas to help you here! Give Dad a gift he can keep forever.